At VCCS Employment Services our vision is to be the premier employment service agency and resource centre in the City of Kawartha Lakes and surrounding area. We help both job seekers and local employers with their employment needs. There is no appointment required to get registered for our services. Just come in and see us. Our friendly and helpful staff are ready to assist you! For 2018, we are delighted to be celebrating our 30th year of serving the community. Please click here to learn more about milestones we’ve reached since 1988! Register and Attend Job Match! 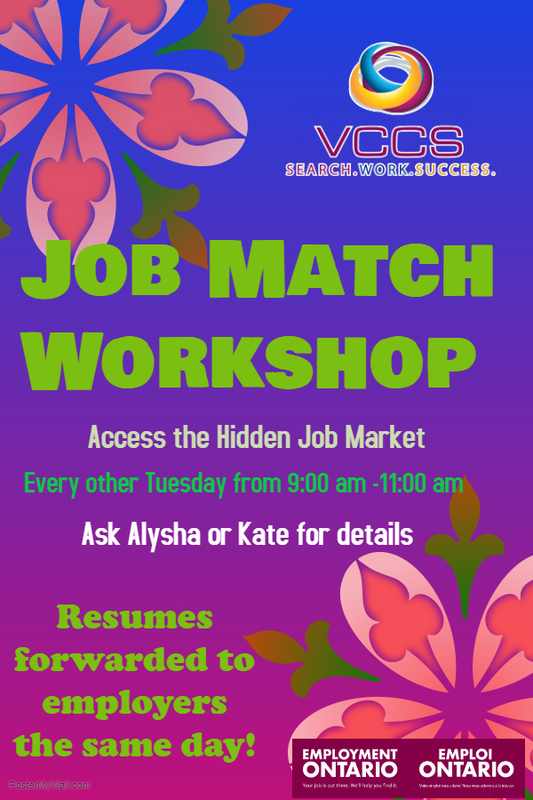 Job Match is a bi-weekly job search session where you meet with VCCS staff to generate job leads and get help applying directly to local employers.